Filip Augustson was born in 1973 near Jönköping. From 1989 until 1991 he attended the music high school in Jönköping and from there he moved to Stockholm where he continued his studies at the Royal College of Music until 1996. While there he began to work as a freelance bassist playing with many different groups including Fredrik Norén Band and Fredrik Ljungvist Quartet. Since then he has become one of the busiest bass players on the scene. He has not only toured in Scandinavia but also in the Baltic countries, Germany, Russia, USA, Indonesia, Malaysia and Singapore. 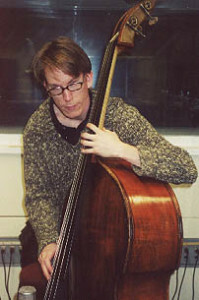 He has taken part in around fifteen recordings and at present is playing in such Swedish groups as Ståhls Blå, Karl-Martin Almqvist Quartet, Fredrik Nordström Quartet, Mattias Landaeus Quartet, Jerker Lindström RGJ Nouveau, Christian Jormin Trio, and Cecilia Wennerström Quartet.